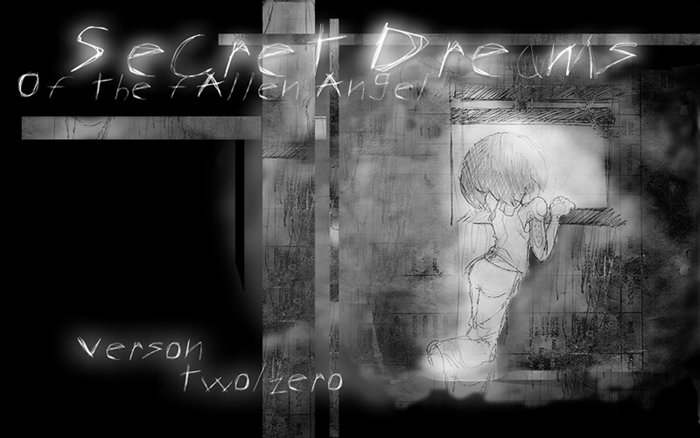 Welcome to the "Secret Dreams of A Fallen Angel"
In the past, I've learned that the company of other people, has certainly influenced most of the decisions in my life. Good or bad, those encounters have made me a better person, and in that process, I've descovered that I have also let down several people as well. And becuase of such revelations, I feel that It's my place to apologize for not updating this site. It's been a while since I've even vistied this site, and if it were not for the gracious guestbook entries that welcomed me back, I would not have felt a need to re-create this site as I had originally intended. It's also becuase of this, that I ask for everyone that visits this site to forgive me. It will be a while before the new site is finished so I'm going to have to ask you to give me a little more time. Considering how long it took me to just add the above images, I have nothing but confidance in your ability to wait a little longer. With that said, I thank everyone again for what was said in my guestbook. And considering that the bulk of the messages mentioned one thing, I would like to let those people know that your desires were not ignored and I suggest that everyone download the "FLASH PLAYER" before the updated site is up and running. ......This time around, Gally has learned a few new moves.